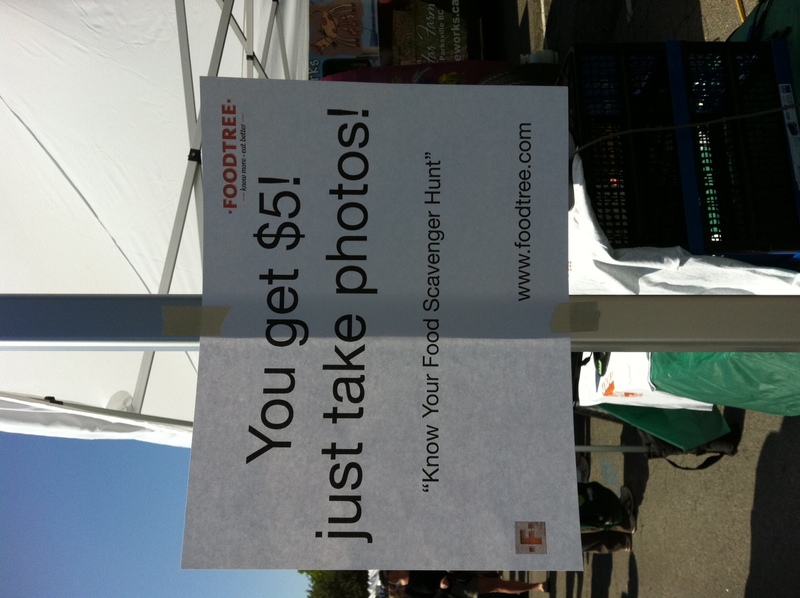 At Foodtree we pay a lot of attention to two worlds: food and technology. As such, we feel as if we’re lucky to witness a lot of really cool things happening at the intersection of technology and food, especially as it relates to the people who are actually growing and making the food we eat. 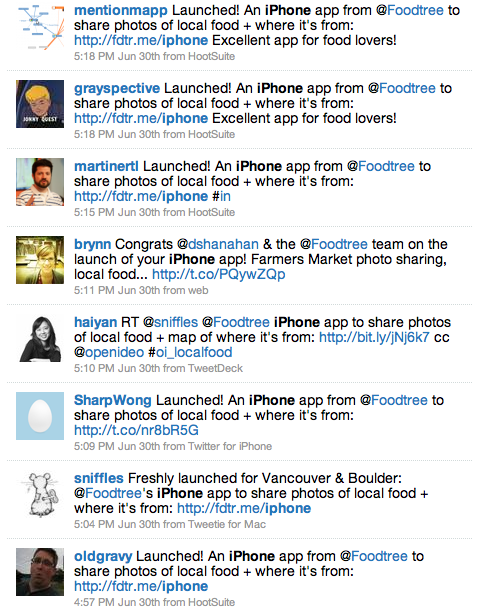 The following are six of the greatest social media technologies and communities that offer food business owners incredible ways to tell their story and connect with food lovers around the world. We know this list isn’t complete; be sure share ideas you have for using social tools to promote farmers in the comments! By now most everyone’s heard of Twitter, but what you may not know is how many farmers and small food business owners have embraced twitter as a means of keeping in touch with their customers and fans. A survey last year from the American Farm Bureau Federation showed farmers and ranchers aged 18-35 indicated that among the 92 percent that use computers, 46 percent regularly plug in to some form of social media. We’ve got a working list of farms, farmers, and farmers markets on Twitter here…let us know who we’ve missed. Tumblr is now a community you can’t ignore. As noted by Mashable, Tumblr’s pageviews in 2011 went from 2 billion to 13 billion and the 30 million blogs there now generate more than 40 million posts per day. According to Quantcast that pageviews number is pushing 15 billion in early 2012. What’s this mean for farmers? It means that setting up a website to share stories, pictures, and videos is not only easy and free, but it means that food producers have an opportunity to participate in a community that’s well known for its attention to art, creativity, and wholesome causes. Just check out the endless stream of posts about organic food or local food and you’ll quickly get a sense for the conversations you need to join. The web is being eaten by video, and there’s no demand shortage for stories about our food system. YouTube definitely delivers the largest audience for online video, but Vimeo is worth a look for it’s vibrant community and cause-driven sentiments. Video watching are a mouthy crowd, too…YouTube users take a social action (like, comment, share) 100 million times every week. Video is becoming the de facto medium for engaging with the web, and it doesn’t matter how you do it…it just needs to be done. Share videos of your farm, productions methods, or your thoughts on food and you’ll find a ready audience of food lovers eager to engage with you and your business. Take a look at the videos on Vimeo tagged with organic food or local food…each has hundreds of videos already shared. Square is a relatively new device aimed at revolutionizing payments for small businesses. The implications for farmers, farmers markets, and small food businesses are extensive…you now have a fully reliable payment system in your pocket. With an iPhone, iPad, iPod, or Android phone any business owner can accept payments on the spot. It’s so easy that by downloading the Square app, they’ll send you a free card reader to facilitate payment. We’ve been to hundreds of farmers markets and seen the pain of collecting payment without any access to traditional credit card payment methods…that problem is now solved. Pinterest is a rapidly exploding community centered around visual pinboards. It’s the Facebook Like on steroids, and the community is ripe with food lovers. In fact, Pinterest is growing at the rate that Facebook was in its early days. Joining Pinterest requires an invite from a current user, but once you’ve joined you’re asked to set up Boards on which you’ll pin images you found on the web, uploaded yourself, or find within the Pinterest community. It’s another vibrant community of craft lovers, with most of the content focused on art, food, and culture. If you’d like a Pinterest invite, let us know in the comments, and take a look at our first couple of boards! Also take a look at the pins tagged with words like food and farm. We’d be remiss if we didn’t give ourselves a little credit here. We’ve built Foodtree to celebrate the greatest things happening in food. 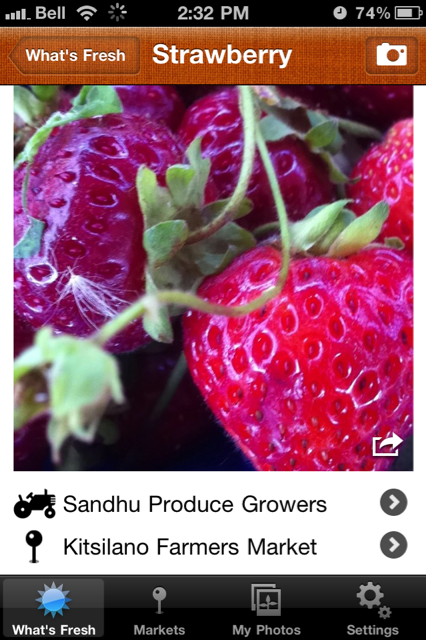 Our mobile app and mobile website are dedicated to sharing photos of fresh local food and understanding the connections that food businesses have with one another. 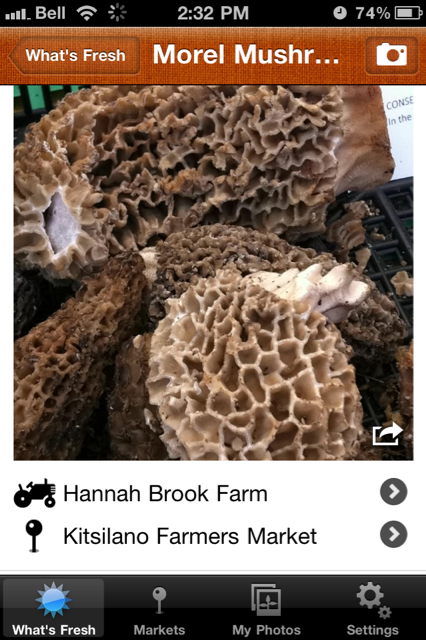 Farmers use the app to share pics of their early morning harvest and to let food lovers know where they can buy it later on the same day. Farmers and business owners without an iPhone needn’t worry! By claiming your profile you’re given access to our web photo upload as well, so anyone can start sharing photos and insight into their relationships right away. Check out the photos being shared at farmers markets at San Francisco’s Ferry Building Market and Vancouver’s Trout Lake Market. Do you own a food business? Head here to see all the goodies you get when you join us. Got other tools and apps that are changing the way food is finding its way into our lives? Share them in the comments and we’ll add them to our next roundup! Featured photo by Corey on Foodtree. Watch this video about Wild Hive Farm, a grower and processor of local grains based in the Hudson Valley. It’s an inspiring story of one man’s desire to bring grain production back to the region, and to recreate a thriving local food economy. The video is part of Etsy‘s Handmade Portrait series of videos, and you should also read the accompanying write up about it on their blog. Local Food Challenge Week! Are You Up For It? 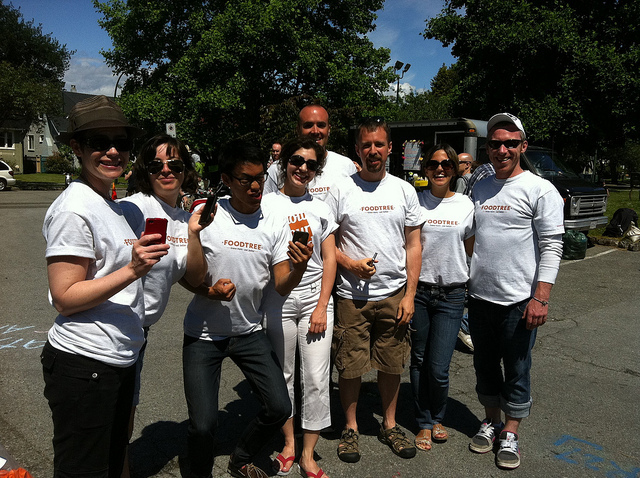 Yesterday marked the first day of a Local Food Challenge happening here in our hometown of Vancouver. 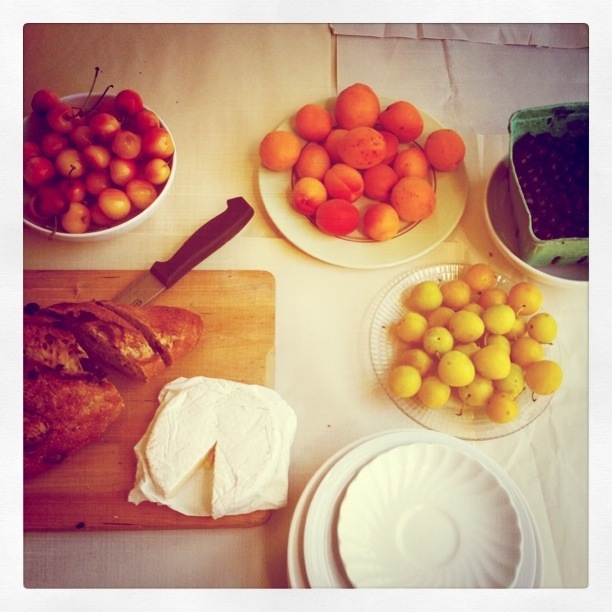 The Foodtree Team has jumped on board and we’re all trying to eat fully local this week. What Is Local Food Challenge Week? If you’re in Vancouver, you can jump on board to support the cause, and the Growing Chefs organization that brings hands-on gardening and cooking experience taught by local chefs into the classroom to educate children about growing and cooking food. Thing is, you don’t have to be in Vancouver to participate in something like this. The simple act to trying to eat local for a week is something that every food lover should try out at some point. It’s challenging, so don’t beat yourself up for running into issues here and there, but you can use the experience to learn a bit about your local food community. Where can you get local food? Which restaurants support the region’s producers? What is actually seasonal near you? Pulling something like this off and feeling like you’ve succeeded means you’ll need to give yourself a few freebies each day. Here at Foodtree, we drink a lot of coffee and tea. These are hard to come by on a local level, so a few of us are using our freebies each day for our caffeine fix, and occasional chocolate indulgence. Oh, and by the way, it’s probably easiest to do a local food challenge during the late summer when a lot of different foods are in season. Check out Vancouver’s seasonality chart. Here and here are some inspiration and ideas to get you started, and keep an eye out as we tweet our meals from the Treehouse! Have you ever eaten local for an entire week? We’re happy to share with you an upcoming challenge from the good people at Growing Chefs, which we’re encouraging anyone, anywhere to take part in however they can. Growing Chefs is a non-profit in Vancouver that runs a Classroom Garden Program in elementary schools to get kids excited about growing, cooking, and eating good, healthy food. At Foodtree, we’re well aware of the critical importance that children play in the evolution of our food system…parents are responsible for feeding their kids, and often that mandate heavily influences their food purchases and diet. In addition, educating children on the nature of real food can be an effective way to influence their health throughout their lives. To raise money to support their cause as well as to increase awareness of local food producers, Growing Chefs is having a Local Food Challenge week, beginning August 14th. You can find all the details here, and if you so choose you can set a fundraising target to benefit the organization. It’s like a 5k or 10k for charity, but less running and more eating! Sign up today to eat local from August 14th to August 20th. Create a profile and campaign on their nifty new pledge site. Set a fundraising goal for yourself. Ask your friends and family to pledge you by using the new site. Join up as a team, business, or family. Share the fundraising and local eating challenge among your group. You can each take a day to eat local and raise money for Growing Chefs! Pledge one of the participants. Spread the word! Share this challenge on Twitter, Facebook, and via email. Make a general donation to the campaign and help them meet their goal! (Please note, as a registered non-profit, they are unable to issue CRA tax receipts). Our free app makes it easy to see what kind of food is fresh and local in your community; open it up and check out the What’s Fresh screen. 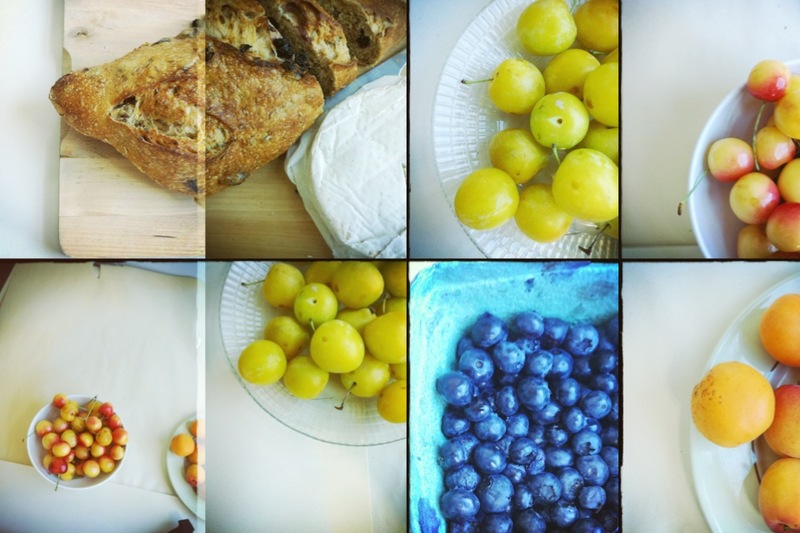 You’ll see the most recent food photos shared near you, as well as where you can buy the food itself. 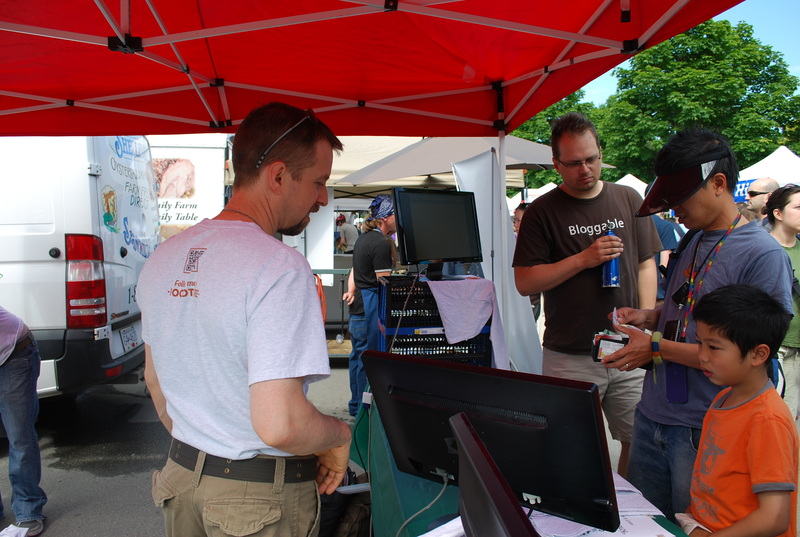 Taking photos while you’re shopping at the farmers market is another way to get involved; help people determine the kinds of foods available to them locally, as well as where they can find it. If you decide to take the challenge, let us know via these comments or on our Facebook page. We’ll be having a special event at the end of that week that you won’t want to miss! This waitress obviously uses Foodtree to answer their questions. 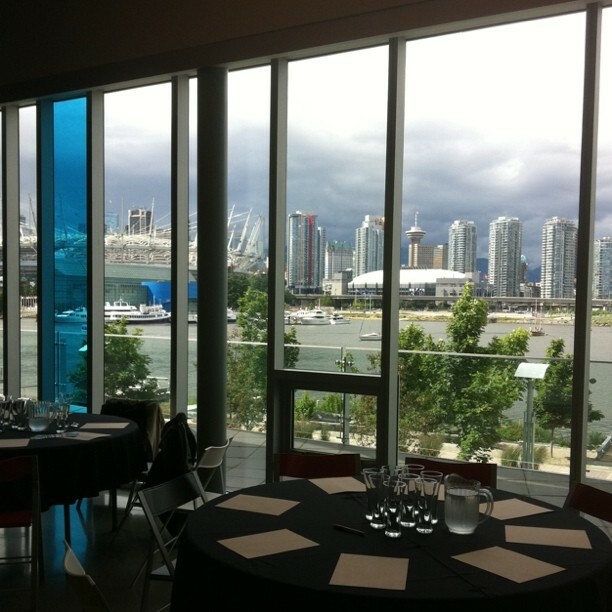 Last night we celebrated our iPhone app launch with the Food Security Council and City of Vancouver at Creekside Community Center. It was a truly great event focused on the state of our local food community and the food system at large. Thanks to everyone who was there for all the feedback you gave us on the app. Click here to get the app! 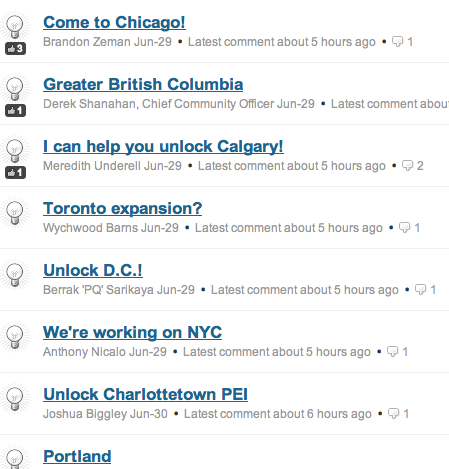 That was right alongside communities all over the world reaching out to help us unlock their cities. The local press was great about covering the event last night as well. 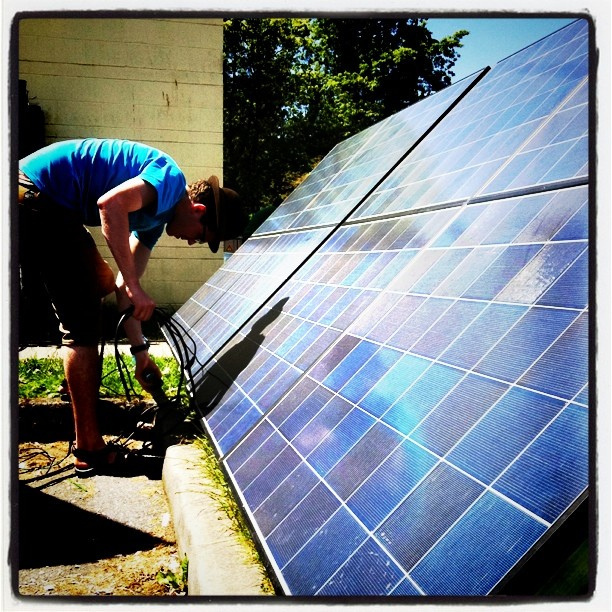 See coverage in The Tyee here, and the Vancouver Observer here. Anthony was on World Talk Radio this morning as well. Listen to that here. Thank you again everyone, and we know we’re not done. We’re working hard to keep improving the app and our platform at large. Please don’t hesitate to reach out with feedback or ideas!